For the growing number of animal lovers seeking an alternative to Western medicine, this comprehensive approach to home animal care includes descriptions of acupuncture and Chinese herbal medicine treatments, with special emphasis placed on clear, uncomplicated approaches to acupressure and diet that readers can do themselves at home. Includes two 16-page color inserts. An authority in her field, Cheryl Schwartz, D.V.M., is the director of the EastWest Clinic in Oakland, California. One of the first holistic centers of its kinds, the clinic was started in 1986 in response to a growing demand for alternative veterinary care. The book that is the definitive guide to a natural lifestyle for dogs and cats is now completely updated and revisedfor the first time in 9 years. Writing with the warmth and compassion that have won them a national following, veterinarian Richard H. Pitcairn and his wife Susan Hubble Pitcairn, noted specialists in chemical-free nutrition and natural healing for pets, show dog and cat owners how to provide the very best in companionship and lifelong care. They now cover environmental matters, including pollutants both inside the home and out, as well as recent hot-button topics, such as Mad Cow disease, Lyme disease, and the West Nile virus. Theyve updated dozens of recipes for delicious and healthful pet food and treats. With a guide to handling emergencies and an in-depth Quick Reference section, they give specific instructions for preventing, diagnosing, and treating a wide range of animal diseases and disorderswith special attention to homeopathic, herbal, and nutritional remedies. 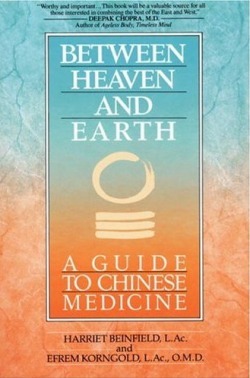 This is the classic, comprehensive guide on the theory and practice of Chinese medicine. This accessible and invaluable resource has earned its place as the foremost authority in the synthesizing of Western and Eastern healing practices. For anyone seriously interested in learning about Chinese medicine, Beinfield and Korngold provide a comprehensive, though technical, look at it. The book is divided into three parts: theory; the psychology of Chinese medicine and therapy; and such treatment methods as acupuncture, herbs and diet. Licensed acupunturists, Beinfield and Korngold stress that the models of Eastern and Western medicine are significantly different. Consequently, so are methods, emphases and outcomes. Chinese medicine, they claim, readjusts the body's balance and enhances self-healing--while Western medicine, in contrast, stresses suppressing and eliminating pathological phenomena, and crisis-intervention. The authors don't discount the need, in some instances, for Western medicine. In fact, they bring this issue up poignantly with an event close to home: their son was born with a heart deformity that required specialized surgery. To help maintain his health, his parents incorporated herbal remedies in his diet. A particularly interesting concept is "culinary alchemy" or kitchen medicine, based on the Chinese tenet "Who we are determines what is most beneficial for us to eat." The authors provide an extensive, cross-referenced compendium of herb names, as well as information on using Chinese patent medicines and formulas for general health problems.